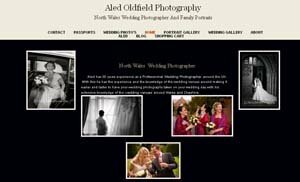 Aled Oldfield's Studio is set in a delightful rural Village of Graianrhyd in the County of Denbighshire North Wales. Between the towns of Mold and Ruthin, and with Chester and Wrexham only a short distance away. Where you can look at Wedding Albums or have a family portrait taken in a relaxed and friendly atmosphere.